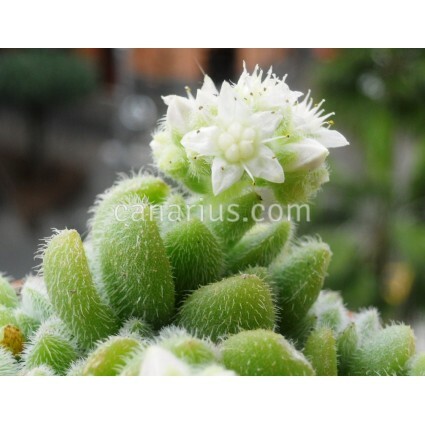 This "different" hairy Sedum is a small beauty from from high elevations in Mexico. 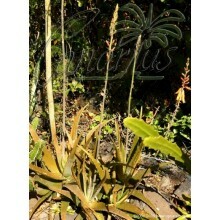 It is a very compact plant with ovate rounded leaves fully coated in white "hairs". It blooms in March with bouquets of white flowers. This "different" hairy Sedum is a small beauty from Mexico. 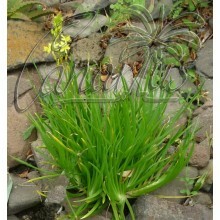 It is a very compact plant with ovate rounded leaves fully coated in white "hairs". It blooms in March with bouquets of white flowers. Sedum mocinianum is from high elevation so it does not like hot summer weather, keep shaded in Summer if your area gets hot! 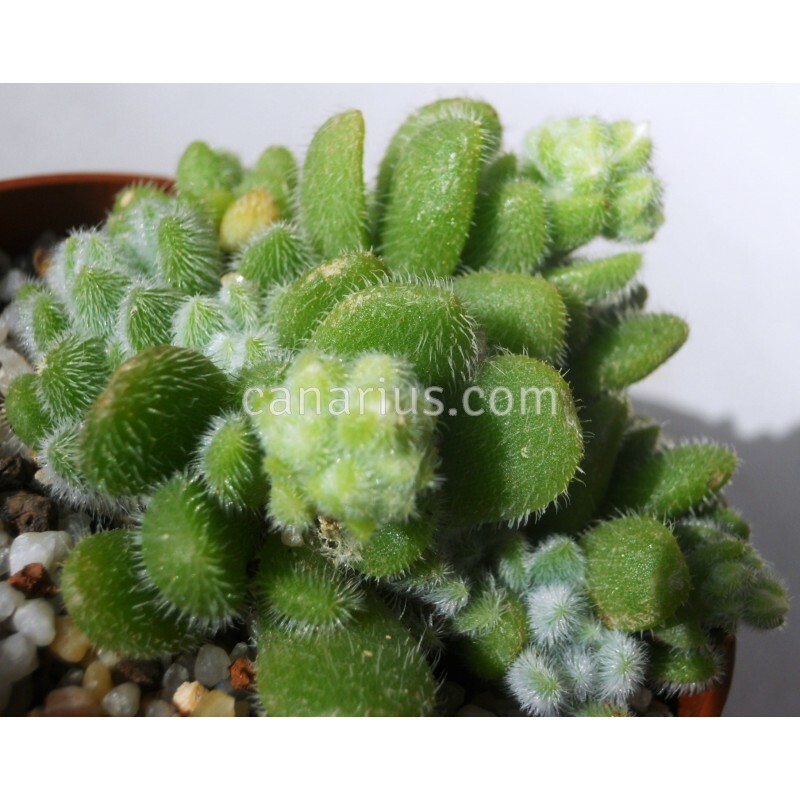 This species is closely related to Sedum hintonii. Some botanists consider it as Sedum hintonii var. mocinianum. 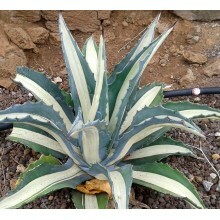 Hintonii has bluish grey color and mocinianum has more rounded compact leaf form and fresh green color. There are also differences in the structure of the inflorescence. 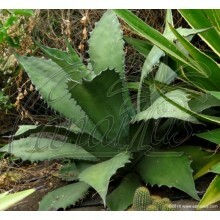 We offer a plant of the following size: Cont.= 6 cm, branched. Container size will give you an idea, but succulents are often sent bare root. These plants are very tolerant of bare-rooting.